Welcome to HistoKids USA: Learning U.S. History is Fun! 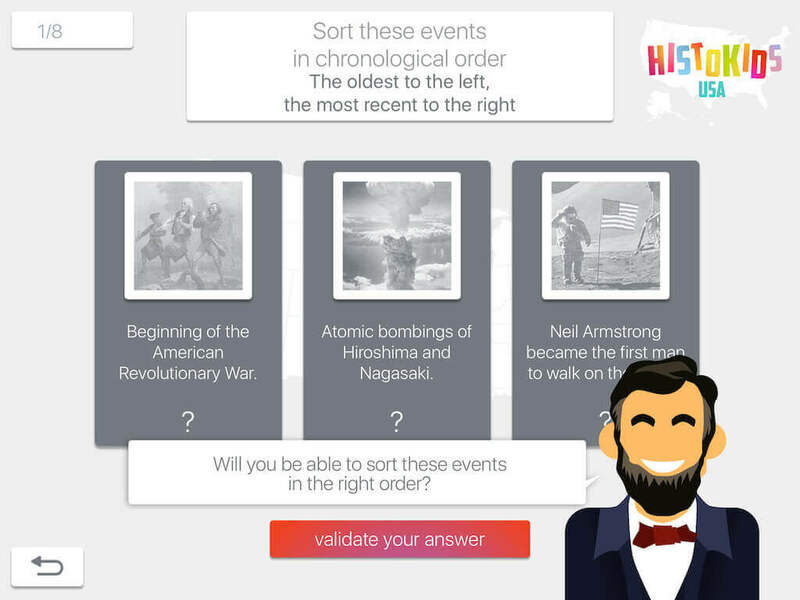 Thanks to HistoKids USA you’ll discover more than 7 centuries of U.S. History, famous people, presidents, wars, key events, everything is here! 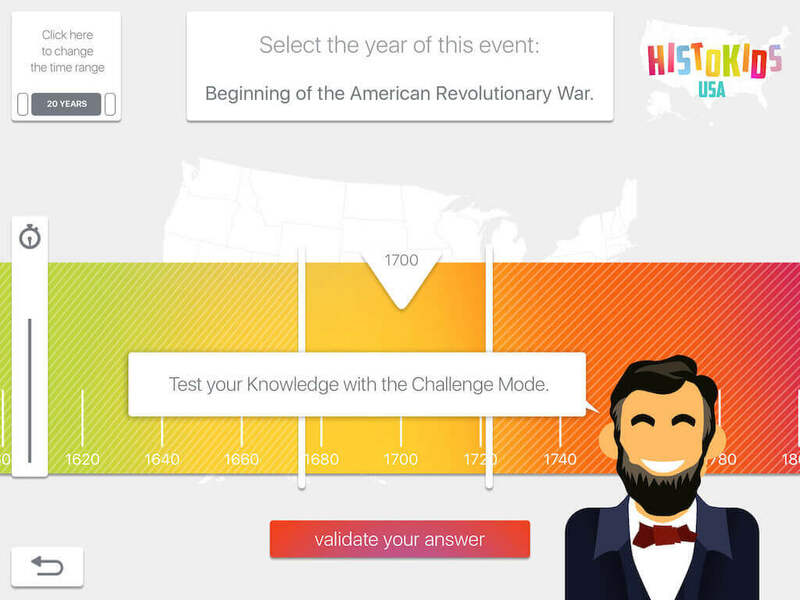 In the adventure mode you will learn U.S. History with Abraham Lincoln. You’ll find events to put in order, take a quiz and organise time periods. The learning mode allows you to practice all topics. 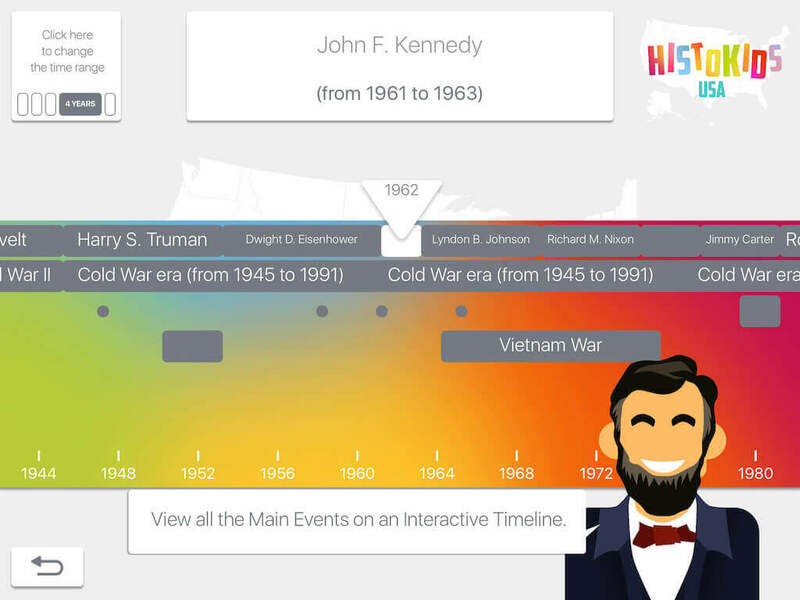 In this mode, you’ll see presidents, wars, key events and periods in interactive timelines. 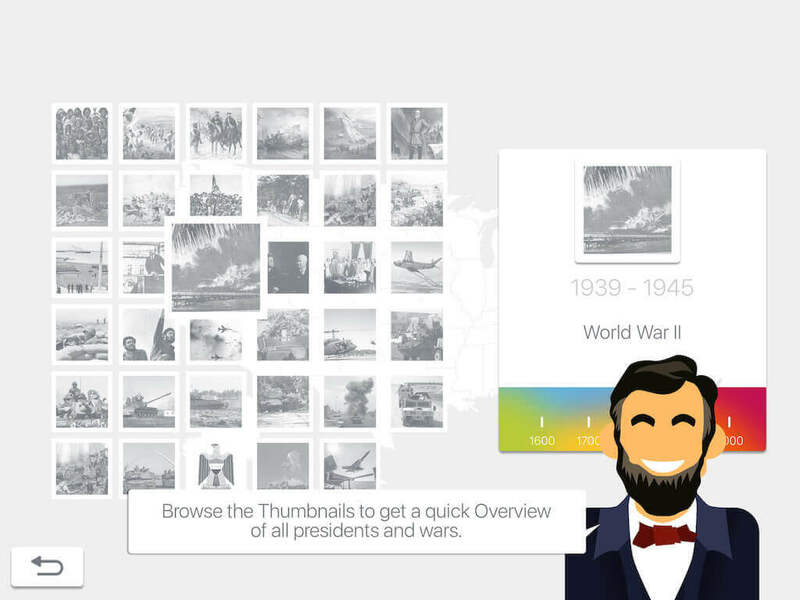 You’ll explore the thumbnails of the presidents and wars on a single screen, to get the whole picture. 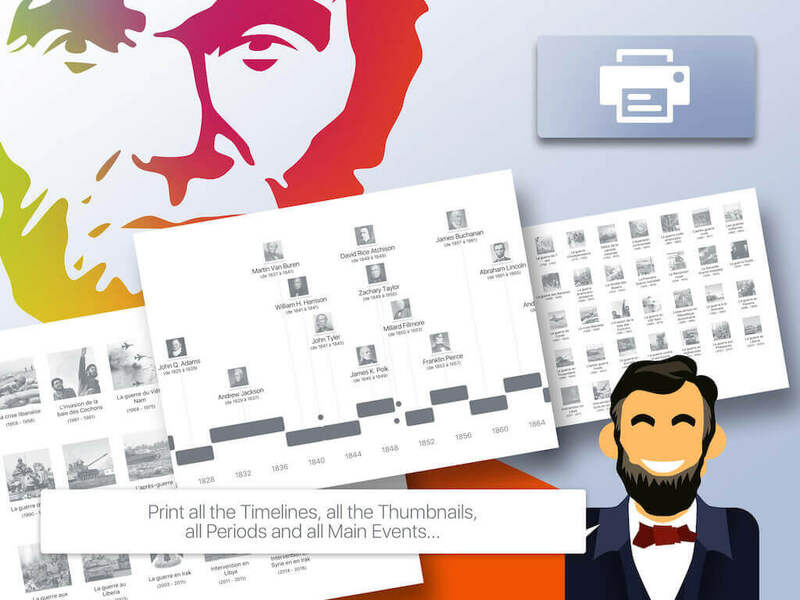 Finally, you can print the timelines, thumbnails and a list of the main events and periods.